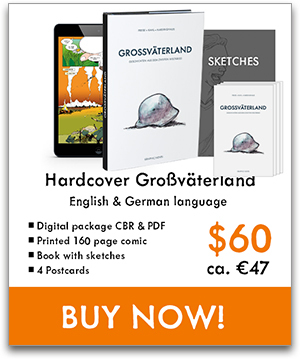 Some days ago we launched the german language paperback edition of Großväterland as an offer for customers from germany which were heavily interested in our graphic novel Großväterland, but didn’t want to pay $60 for the hardcover edition with german and english language comics together in one book. Although we think this is of great value, we also understood the demand of a single language edition. 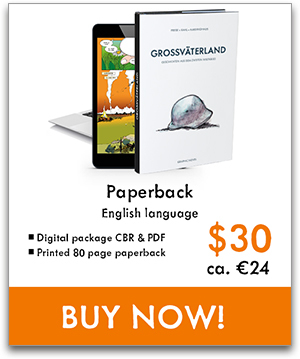 Now you can order an english language only paperback edition with the same content as the hardcover edition: 80 pages full of comics, background material and historical facts from some of the last living german eye witnesses of WW2. The former $30 perk, the digital edition, is now available for just $15. We also put some thinking into the other perks and made the $60 and $100 perk (hardcover plus digital edition, sketchbook and postcards) into one single perk for just $60 and upped the number of pages from 120 to 160. That’s $40 less than before with even more content! 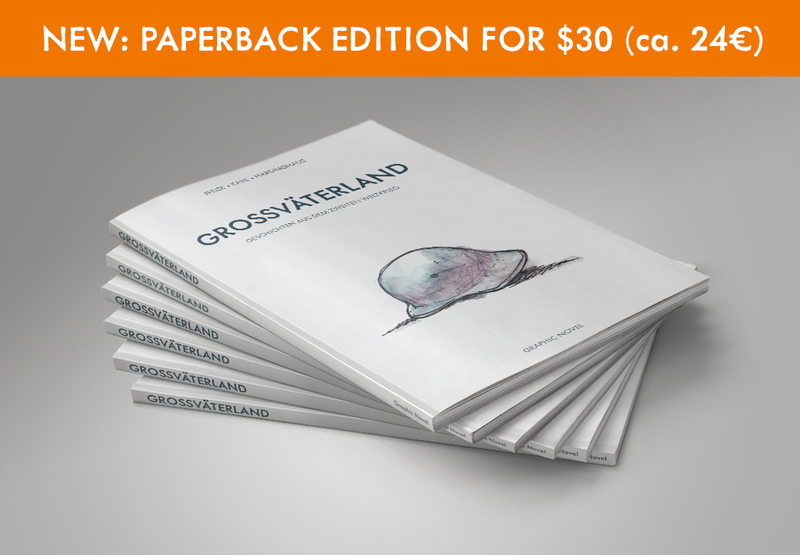 Note: If you already ordered the digital edition which was $30 before, you are automatically upgraded to the paperback.